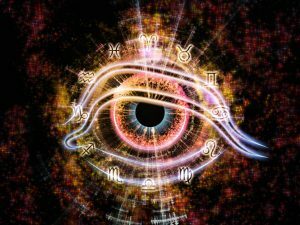 2019 Astrology Forecast – Cycles of Expansion – Find Your Power Places! Get a head start on 2019 and join us for a 2 hour LIVE and RECORDED Teleclass as we tune in to the sound of the stars and investigate all the cycles of the year ahead in detail. Be prepared for when to seize the moment and act, and when to pull back in the next year. What makes this 2019 Preview call totally unique? Receive a Written PDF with all the Key Dates and Important Cycles to help you plan your 2019 Growth. Your Birth Signs covered in detail! – Learn how your specific Sun/Moon/Rising Sign will be challenged, empowered, and awakened in 2018! There are a lot of major cycles in each element this year, so no matter where most of your planets are, you will experience profound shifts in 2019. Join us as discuss the trends politically, socially, economically, and interpersonally. BONUS! Download of the entire PDF with all the major transits to access as you plan 2019. Discounts on VerDarLuz’s Divine Timing Online Courses – Affordable study at your own pace to weave astrology’s wisdom into career and relationship success. *Call-In Info sent day of class. – If you can’t be live, class is recorded and sent out the day after. You can register at 3 levels. When choosing your option from the list, if you only choose 1 Personal Interpretation, please email me with either Jupiter in Sagittarius or January Eclipses.